For centuries, Pakistan’s northern city of Peshawar has withstood the plunder of invaders and served as asylum for refugees. Today, flanked by war-torn Afghanistan and war-torn Kashmir, it’s a magnet for bloodthirsty members of the Taliban and Al Qaeda. But things aren’t all bad: Sitting on the Iranian plateau at the edge of the Khyber Pass has had the effect of making Peshawar a cosmopolitan place rich with diverse languages and cultures. 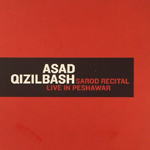 All of this explains a lot about Sarod Recital/Live In Peshawar, a performance alternately mournful and free by Pakistani sarod player Asad Qizilbash: the stark red of the cover, the fact that the producers edited out the audience’s applause to ensure their safety, and the guttural wails of Qizilbash’s courtly instrument. The sarod, a wood and skin lute with between 18 and 25 strings that sit on a fretless piece of metal that lets the strings glide up and down the octaves, is itself a contested thing. 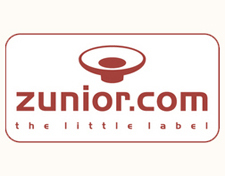 There is some dispute over whether it originated in Persia or India, but either way both influences are apparent—considered a bass version of the Persian rubab, it’s often performed in the classical Indian style of raga, whereby the musician improvises on a recurring motif. Qizilbash draws heavily on the teachings of Indian sarod master Ustad Amjad Ali Khan with his adventurous glissando phrasing and bold staccato plucking; his work is heavier than the oft-bland tracks on The Rough Guide to the Music of Pakistan, and his sarod is deeper and more muscular than the sitar. In elongated, improvised strands, the three tracks on Sarod Recital soar and quiver. The moody, 27-minute improvisation “Raga Darbari” moans with passion. Its opening minutes are an impressionistic dawn full of searching slides and gentle plucks, conjuring the hues and textures of mountain terrain and the frenzied bustle and spicy aroma of an age-old bazaar. Five minutes in, Mustafa Khan enters with a throbbing tabla beat as the sarod’s heavy strings stab, jerk and slash, mirroring the sadness and spilled blood of battle. Halfway through, at the fourteen minute mark, Qizilbash’s fingers flail and whirl around a galloping melody that echoes in your head after the record has finished. Treacherous and full of wonder, it’s like watching the crags pass as you ride into Afghanistan on a horse. In the American media, Pakistan gets a terrible rap. The picture hardly strays beyond the political gamesmanship of various statesmen and paramilitary types and the looming threat of nuclear weapons. Sarod Recital/Live in Peshawar shows a far more complex Pakistan, a lustrous place built by an array of peoples, including Buddhist ascetics, Sufi mystics, and the red-hatted Shi‘i Muslim warriors of the 14th century known as the Qizilbash; a place at once traditional and modern, with a culture inhabited by cardamom tea, Nusrat Fateh Ali Khan’s velveteen voice and the Hellfire missiles of American Predator drones.